Bzzzzt…. Some Nunavummiut are talking about how bad the mosquitoes are this summer, with residents in the Kitikmeot especially saying there are more, and bigger, mosquitoes than usual. Joseph Quqqiaq in Taloyoak said he thinks this has been the worst year for mosquitoes in the past 10 years. You can click HERE to read the rest of the article, in which Terry Wheeler of McGill University is interviewed! Team Knife is half way through our last stop for the summer: Cambridge Bay, Nunavut. Cambridge Bay is located on the southern end of Victoria Island, on the Queen Maud gulf in the Northwest Passage of the Arctic Ocean. When we arrived on July 6th the Bay was still covered in ice but with all the sun and ‘excessive heat’ (17 C the day we arrived) it has been quickly melting. In fact the last large pieces of ice disappeared yesterday while we were out collecting. 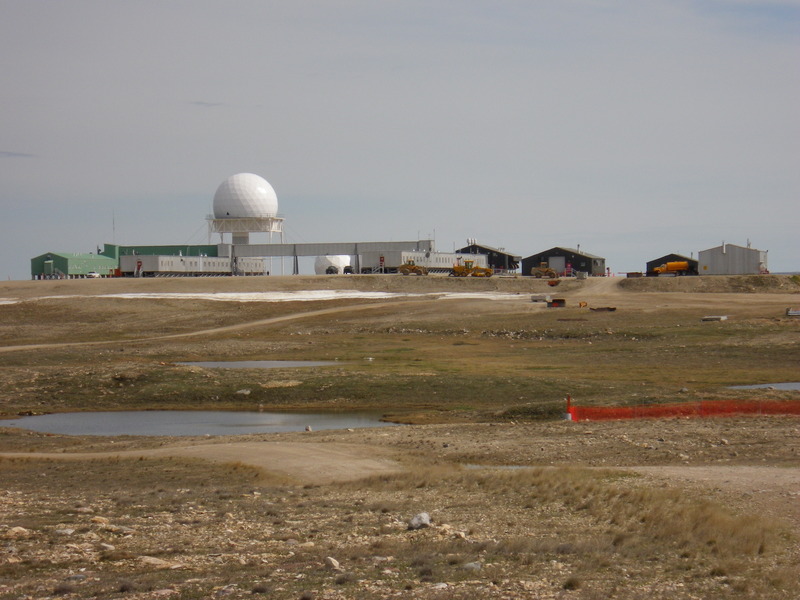 Cambridge Bay is home to an old DEW line station and soon to be home to a new federal government funded High Arctic Research Station. Our work here is going very well – we have finished our first servicing of the traps, the vegetation protocol, two sweep samples, and 10 of the 12 aquatic sites. Our traps have been full of spiders, beetles, crane flies, midges, and all sorts of smaller things that we can’t wait to go through back home under the microscopes. 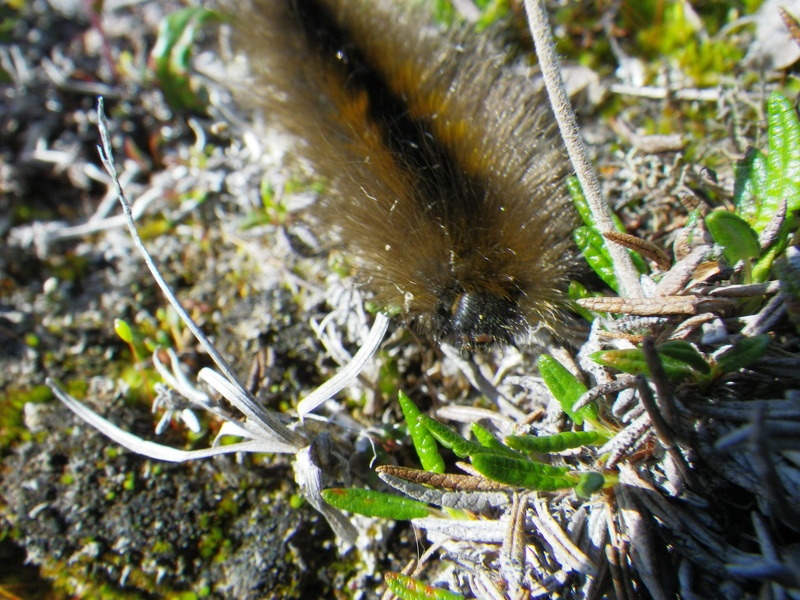 Patrick has been especially good at spotting cocoons and caterpillars of the arctic woolly bear (Gynaephora groenlandica) on the tundra. This species can take up to seven years to complete its life cycle, cramming as much eating and growing into the short arctic summer as it can before going into dormancy for the rest of the year. Some of the cocoons we have found are full of puparia of tachinid flies instead of the moth – these parasitoids lay their eggs inside the caterpillars and consume them from the inside out, emerging just before the caterpillar pupates. Laura is currently rearing the cocoons in our hotel room, hoping to get some adult moths and parasitoids for our collection. 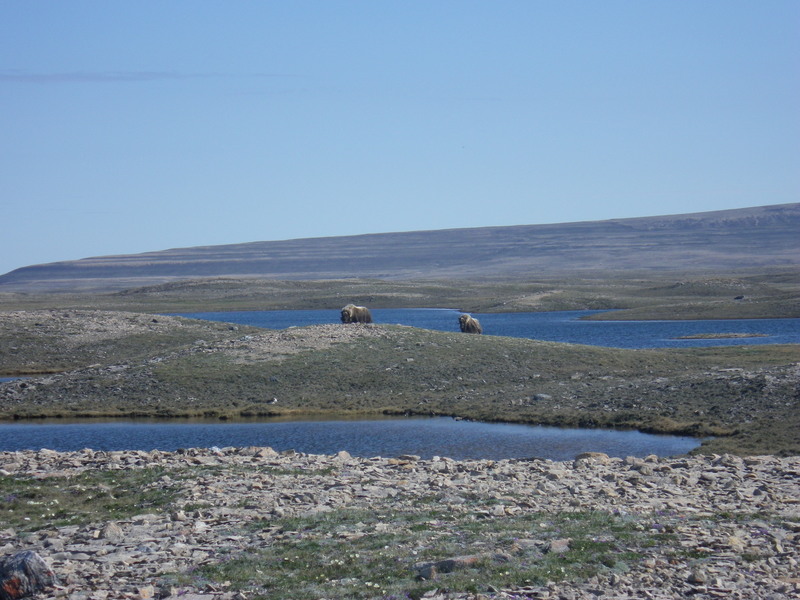 We have also had encounters with some of the larger fauna around here, having spotted several chatty arctic foxes, some muskoxen, a lemming, a seal on an ice floe, and many of the over 100 species of birds up here. One of our encounters with the local wildlife was a bit too close for comfort: both of our ATVs were dive-bombed in succession by some very territorial terns as we were driving on a beach east of town the other day. 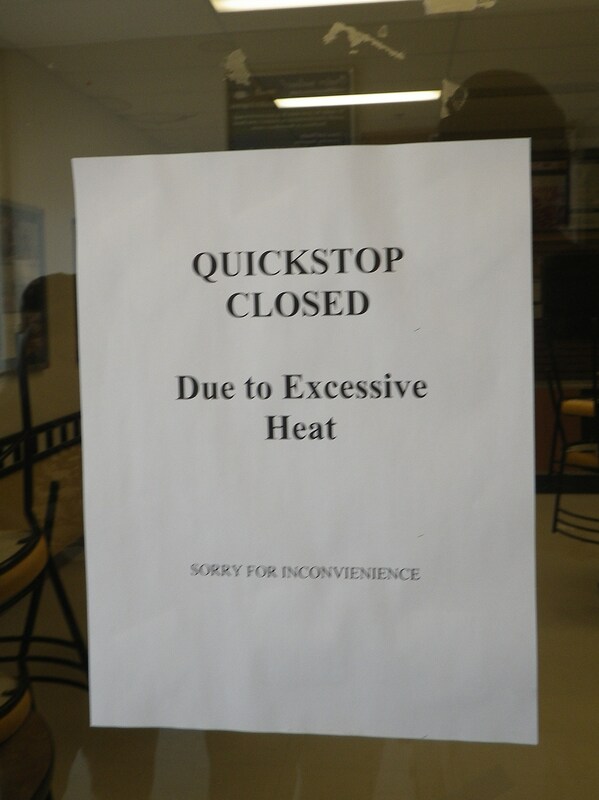 Luckily we were wearing helmets! As the weather is continuing to warm up, the vegetation is becoming greener, and the black fly larvae are getting bigger, we are looking forward to continuing to explore the area and do more collecting. The road to Ovayok Territorial park is currently washed out, but we are crossing our fingers that we will be able to get there at some point before the end of our trip. And we are hoping to not spend too much more time with ATVs and/or team members stuck in pockets of wet clay that are almost impossible to escape from!